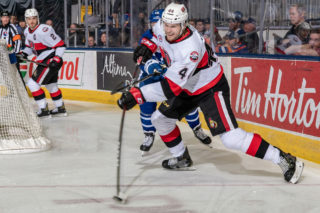 It sounds like a recurring theme but the Belleville Senators will look to get back to .500 tonight for the fifth time as they host the Toronto Marlies. 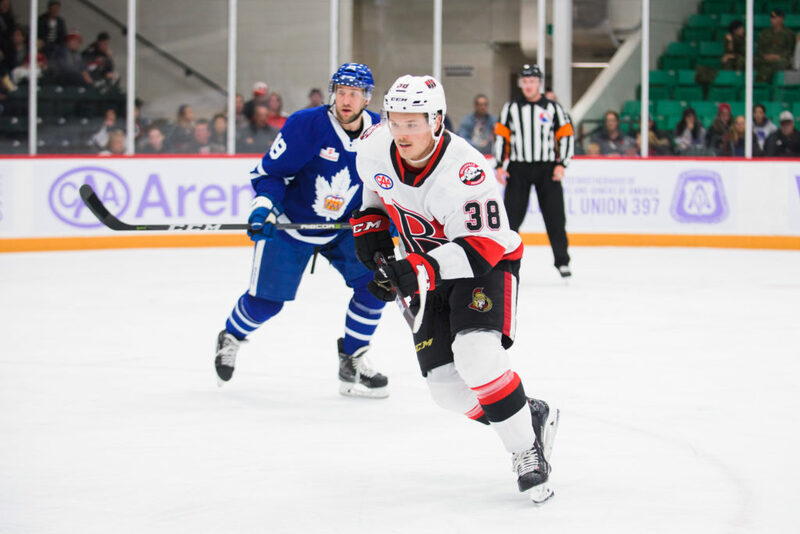 Belleville (6-7-0-0) won a wild contest over the Marlies Friday night to move into sixth place in the North Division and sit only a point outside a playoff spot early in the season. The Sens’ power play, which converted twice last night, is operating at 30% clip at CAA Arena. Toronto (4-5-0-2) entered Friday’s game without a regulation loss in five but saw that snapped by Belleville. After conceding seven times Friday, the Marlies have given up the third most goals in the Eastern Conference this season. 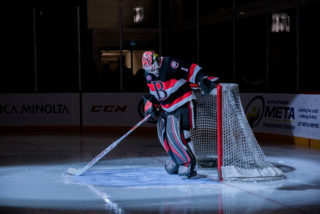 No roster changes for the Senators overnight but head coach Troy Mann will have a decision to make regarding his goaltender. Mike Condon played Friday night but it’s unclear if he will start for the second straight night or if Filip Gustavsson gets the nod. 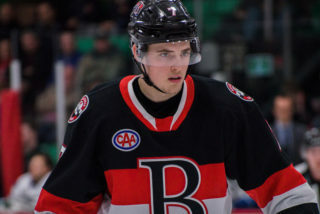 Sens captain Erik Burgdoerfer left Friday’s game injured and his status is uncertain. 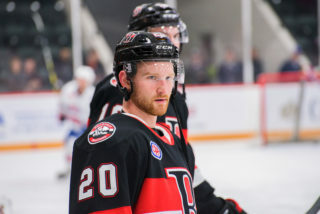 The Senators collected a wild 7-6 win Friday night in the first match-up of the year between the two teams. Belleville won only three times in 12 contests last season and they will square off 10 more times this season after tonight. 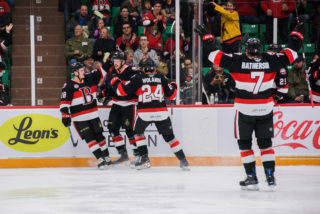 Sens rookie forward Drake Batherson set a franchise record for points in a game with six Friday night and is tied for first in AHL scoring with 19 points this season. His five assists were also a Sens record. Mason Marchment had a pair of goals Friday and now has three goals and five points in six games this season. 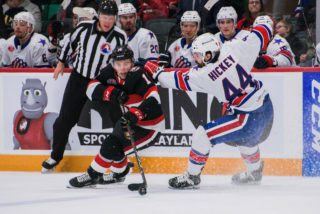 Saturday’s game starts at 7:00pm and can be seen on AHLTV. Fans can also watch tonight’s contest at Shoeless Joe’s in Belleville.